The hoarder in me has been awakened! 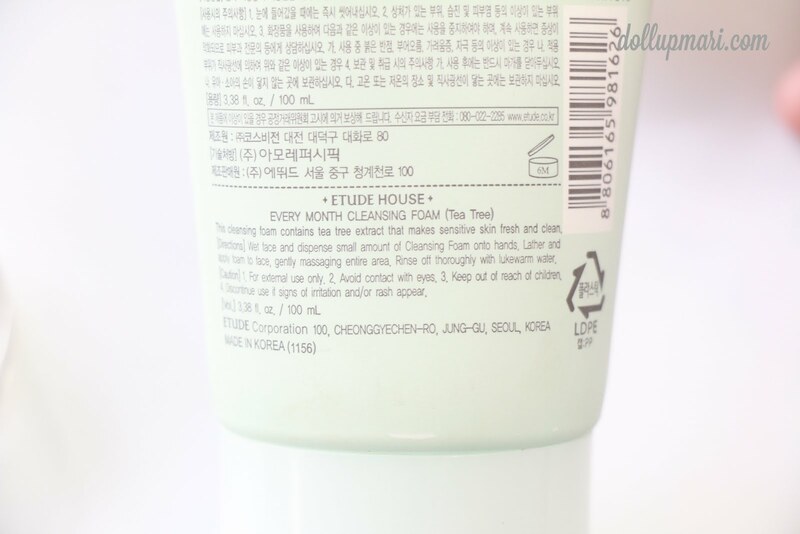 If anything, that's because Etude House recently came up with their Every Month Cleansing Foam. And no, they're not kidding with the every month part because they really released 12 variants of this facial wash, with different purposes and fragrances for each one! One of these days I'll hoard all 12!!! This one that they sent me is #6 or Trouble Care, and it's made of Tea Tree. As of my last Etude House store visit (like last week), this was already out of stock-- this seems to be a really popular variant. 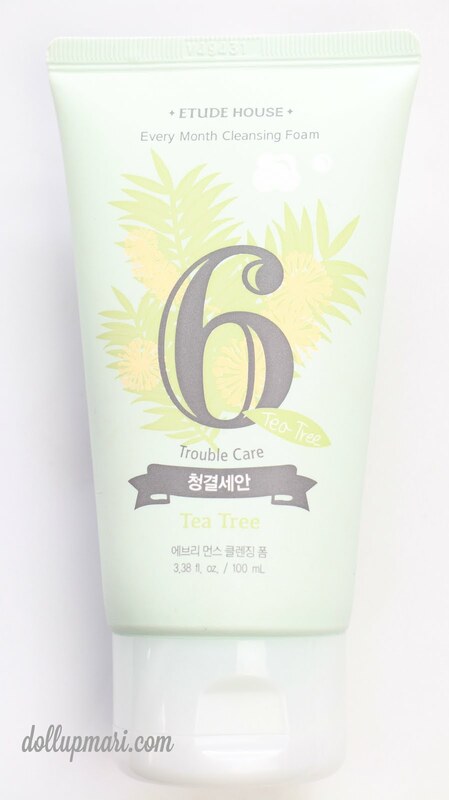 Trouble care is their variant all about acne and blackheads. Though the verbatim promise is that this will make sensitive skin fresh and clean, it's also the one more likely to target the acne and blackhead problems among all the variants. 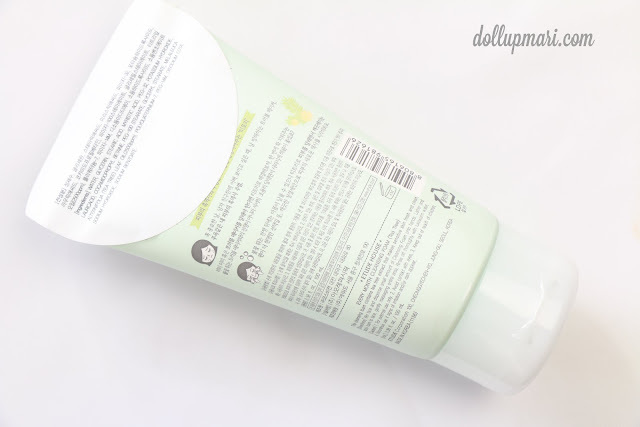 As seen, the main ingredient in this is tea tree, and that this tube is 100 mL. If anything, I'm certain that you won't exactly need to buy a tube for every month as this tube will more or less last a regular user (everyday, 2-3 times a day) about two to three months, depending on the frequency of usage. For the concerned, here are the ingredients. 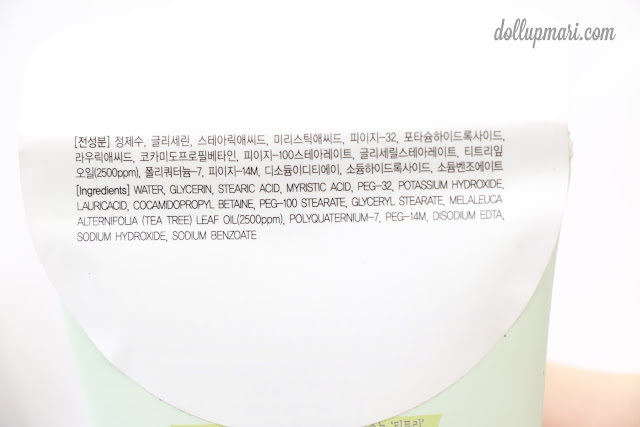 It has Tea Tree leaf oil, and I think the Sodium Benzoate is there as a preservative. Sodium benzoate shouldn't be alarming as it's also used in a lot of foods, and definitely is not as controversial as the parabens. These are the indications and descriptions. It's basically just like any other facial wash-- apply a pearl sized amount onto your hands, wet, and then lather up on the face. 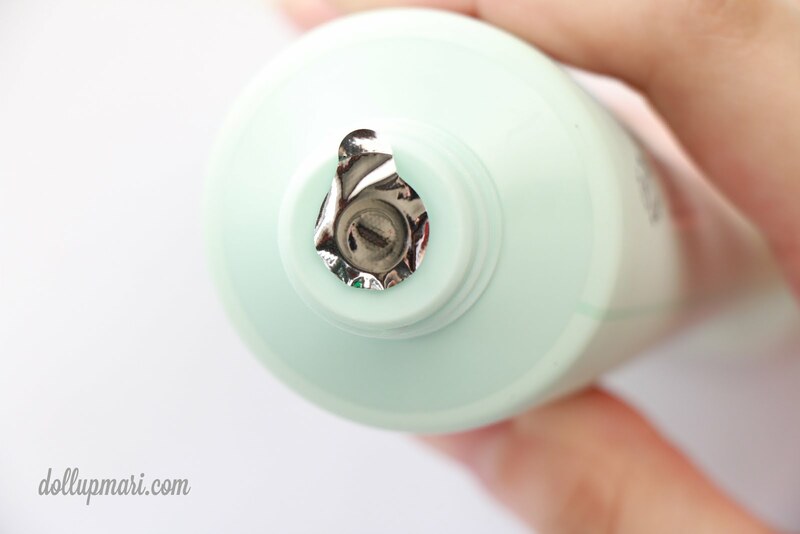 One thing to note though is that once opened, this tube should be used up within 6 months (as depicted in the jar with the lid that has 6M written on it) so it's better to buy one at a time and use it up first before proceeding to the next tube. But still, no one said hoarding it is wrong (yes the hoarder in me is justifying this). For consumer protection, it comes with this foil seal. The best part I like about this is that when they say foamy, they really mean foamy. I have seen so many higher end facial washes that call themselves foamy but only make up really few suds. 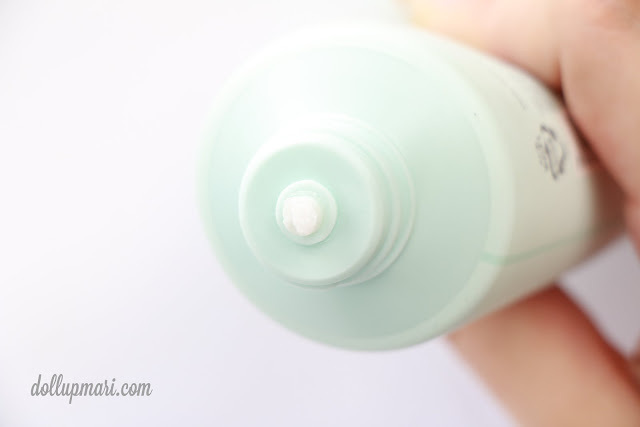 With this one, the main reason why you can use this for quite some time is because you can get a whole lot of lather even with just a tiny amount of product. In terms of the trouble care part, I think that this is already doing its job well enough for a consumer product. I get a nice, deep, but gentle clean whenever I use this. And after using it for a few weeks, I've noticed that my skin feels cleaner in general, and is less prone to acne. My whiteheads and blackheads, though not totally wiped out, are less prominent and are fewer in number. There are still pimples on my face, but this is more of hormonal (as the time of the month is approaching) and not due to dirt or germs stuck in my skin. If you are the kind of person who gets occasional bouts of acne or has blackheads but with generally healthy (as in no chronic acne) skin, I think this is the perfect facial wash for you. If you have chronic acne, this may help in terms of the cleanliness part, but for very severe cases you'd probably have to get strong medical prescriptions from your dermatologist or get hormonal treatment from a medical professional. Amusingly, even if it can target blackheads and acne, it doesn't keep oil away as well as other harsher products do. If you want to stay oil free all day, you'd probably have to use this at least three to four times daily. However, I also think that that's because this is more of for getting rid of acne causing germs, so if your main concern is just the oil, they also have a green tea variant to target that specifically. Maybe you can use green tea in the morning, then use this at night, so that you can get acne and oil free skin at the same time. 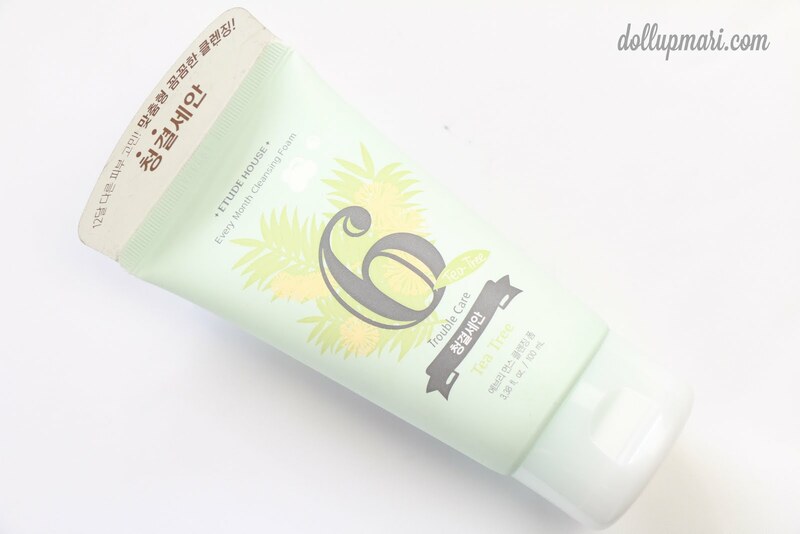 You can get this for Php198 at Etude House branches nationwide. I think that it's already very affordable relative to its size and its effects that it's worth a try. There are also 11 other variants so I'm certain all of you will find something suited to your needs. And if anything, you can alternate the usage of the different variants to combine their effects! Disclaimer: This product was sent to me by the marketing department of the company, but my opinions are honest, unbiased, and of my own. I did not copy paste from any press release, nor was I paid to do this review. I was only sent a unit of this product. I have dry skin in combination with a lot of white and blackheads. But I don't want my skin to dry out, would this one be usefull? I think it is bound to be just right because it's not as potent as their Baking Powder line. To be honest, I think this was actually created with the Korean winter in mind as most of the variants seem to be for moisture and not drying out and all. Have you tried the AC Clinic line? If yes, can you tell me which one better compared to Every Month Cleansing Foam #6 for common teenagers skin problem like acne, acne scars, blackheads, whiteheads. And, should I buy the cleansing foam itself or with them other fellow like toner, mask, etc. Please reply, this would be very helpful to me. Thank you. Pwede po kaya siya sa sensitive skin?